In the last days we are counting only few tens a raptors per day since we are almost at the end of the migratory season here at the Strait. However the number of species is quite high with more than 10 raptor species per day. Yesterday one Long-legged buzzard, one booted eagle and two Ospreys. News from the Strait of Messina - Lesser-spotted Eagle! 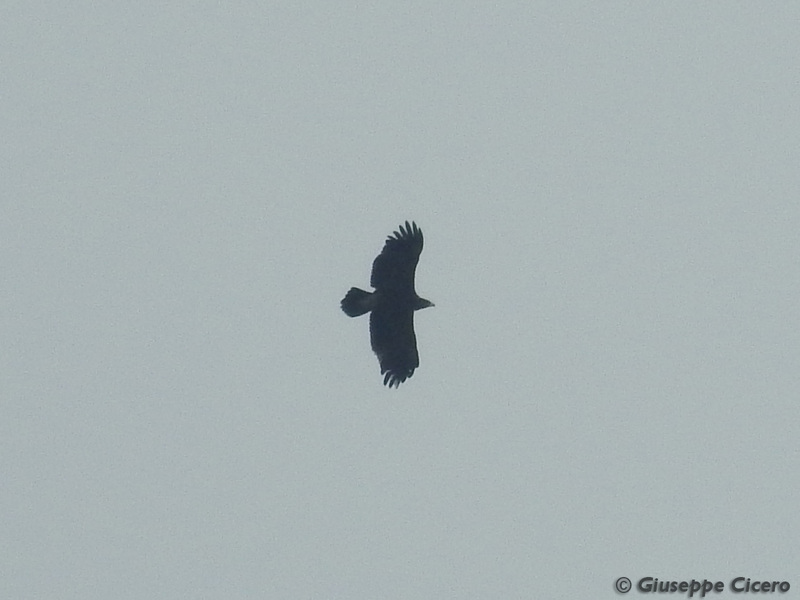 Yesterday one beautiful juvenile Lesser-spotted Eagle has passed over our radar station at the Strait of Messina. Here below a picture of that bird taken by Giuseppe Cicero. During the weekend we recorded a good passage of juvenile Honey Buzzards together with several tens of kestrels/lesser kestrels. Moreover two days ago were observed other two dotterls. 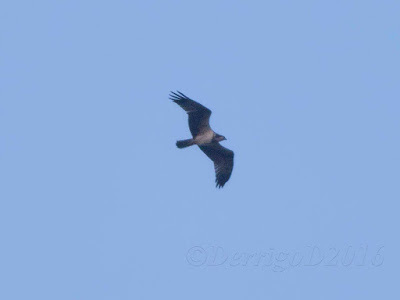 In the last two days we observed about 1000 raptors migrating over the Aspromonte mountain. Most of them were Marsh harriers but we recorded also many other species such as 1 Pallid harrier, 7 Booted eagles, 5 Short-toed Eagles, 1 Red-footed falcon and several Kestrels/Lesser kestrels. However we are still waiting for a peak of the migration in the next days! 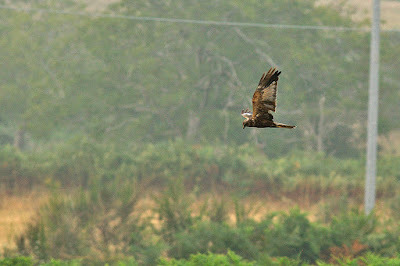 In the picture below (by Alberto Pastorino) a male Marsh harrier. Two new MEDRAPTORS papers out now! Two new papers have just been published! Both papers are outputs of two long-term collaborations between MEDRAPTORS and two other European organizations. 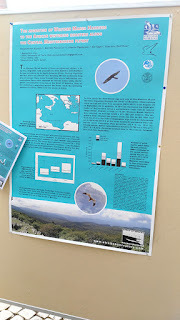 The first paper has been published on Ornis Fennica and is a result of the collaboration between MEDRAPTORS and Greek ornithologists belonging to the Hellenic Ornithological Society. 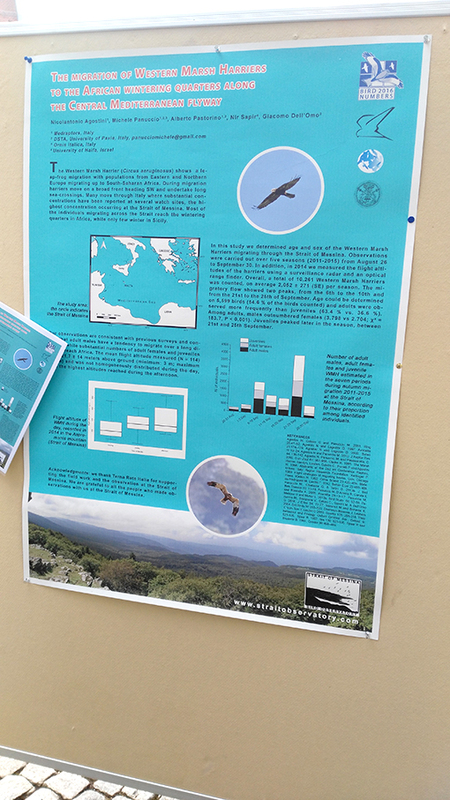 This paper analyses the weather selectivity of raptors migrating in autumn across the Aegean Sea. The behaviour of European Honey Buzzards and Western Marsh Harriers shows both similarities and differences.The intensity of migration of both studied species is positively correlated with air temperature. The European Honey Buzzard selects days with strong tailwind assistance that helps to reduce flight time over sea thus decreasing mortality risk and energy consumption during sea crossing. On the other hand, the Western Marsh Harrier seems to be less wind selective reaching the island in good numbers also with headwinds, probably because of its higher ability in using powered-flapping flight. The second paper deals with the spring migration of Honey Buzzards across the Central Mediterranean area. We analysed the influence of wind patterns during the peak days of migration of this species. Data were collected across 8 years at five different Italian sites during a monitoring project promoted by LIPU BirdLife Italy. To download the pdf click on the links below. Panuccio M., Barboutis C., Chiatante G., Evangelidis A. & Agostini N. 2016. 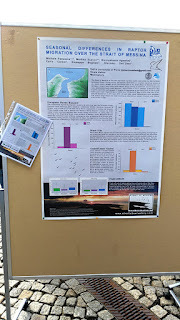 Pushed by increasing air temperature and tailwind speed: weather selectivity of raptors migrating across the Aegean Sea. Ornis Fennica 93: in press. Agostini N., Gustin M., von Hardenberg J. & Panuccio M. 2016. Wind patterns affect migration flyways and flock size of a soaring bird over sea. Avian Biology Research 9(3): 159-166. 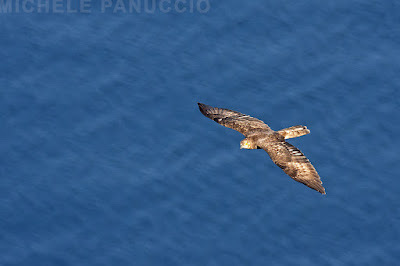 Yesterday a juvenile Imperial Eagle was observed migrating over our watchpoint at the continental side of the Strait of Messina. This bird was born at the border between Slovakia and Austria and it is followed thanks to a satellite transmitter. Really an impressive sight! Here below a shot of that bird taken by Stiven Kociancijc. The weekend was a very good time to observe raptors migrating at the Strait. About one thousand individuals were counted from our main watchpoint. They were mostly Honey Buzzards but we observed also Booted Eagles, Osprey, one Short-toed Eagle (here below a picture of that bird) and some Montagu's Harriers. 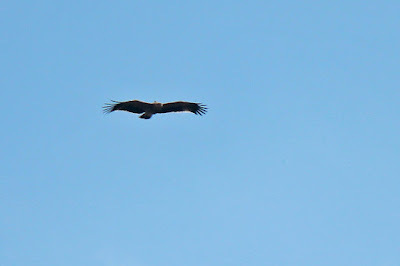 Black Kites and Marsh Harriers were quite commons. Among non raptor birds, saturday was a great day for Bee eaters with 580 individuals counted. Moreover 2 Black Storks, 2 rollers and one Great White Egret were observed. EBCC Conference "Bird Numbers 2016"
The EBCC Conference "Bird Numbers 2016" has started three days ago in Halle, Germany. In the meeting are presented an impressive number of monitoring projects all around Europe and also in Asia and Africa. 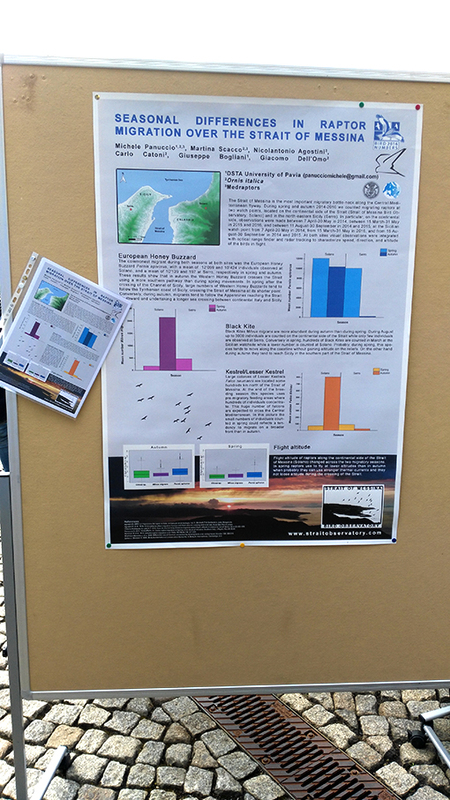 We are also actively present there with two posters (one with a speed talk) showing results of the project that we are running at the Strait of Messina. Here below pictures of our posters. 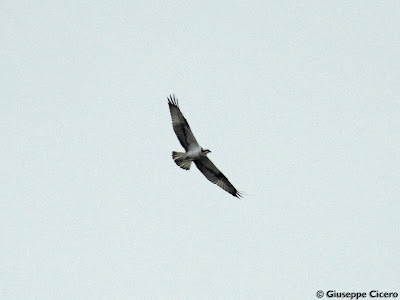 Not only raptors at the Strait of Messina. Two nights ago there was an intense migration during the night with thousands passerines detected by our radar. Here below a screenshot. In the end today was another amazing day of migration! Our daily count: 2101 Honey Buzzards, 127 Marsh Harriers, 66 Black Kites, 3 Montagu's Harriers, 2 Ospreys and 1 Common Buzzard. 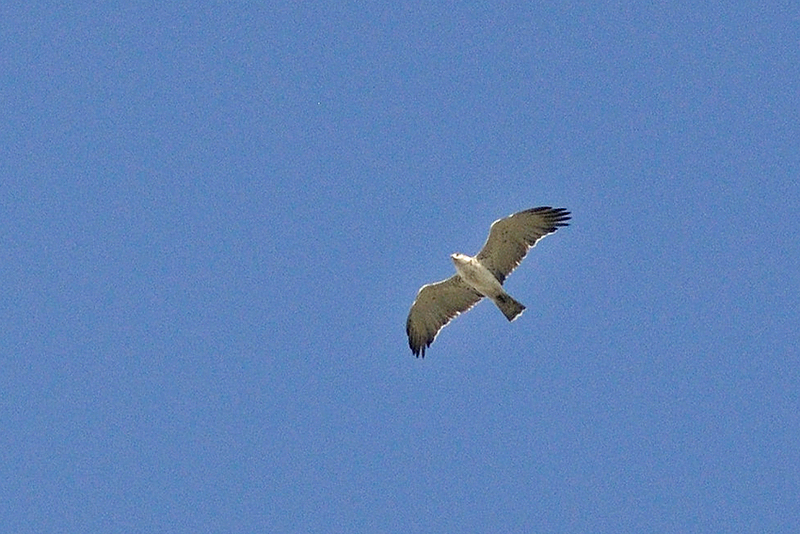 Moreover 6 White Storks and lot of Bee-Eaters were observed migrating through the Aspromonte mountain. 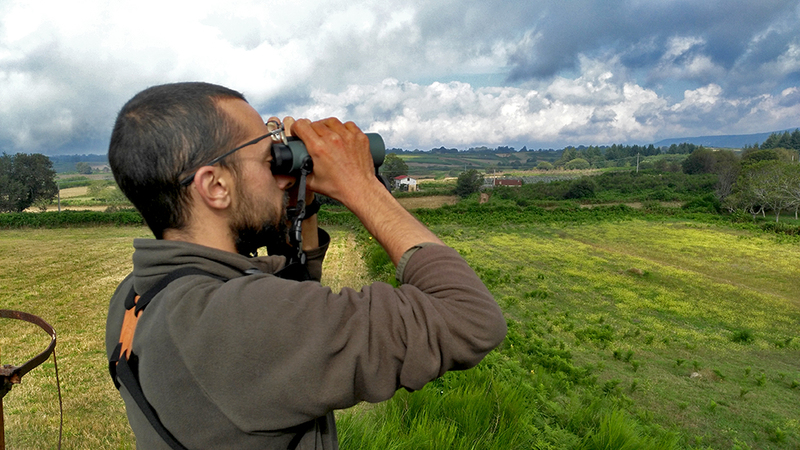 Yesterday about 1100 raptors were counted and today, up to now, 1300 individuals are migrating between the clouds. Mostly Honey Buzzards but also Black Kites, White and Black Storks, Marsh, Montagu's and some Pallid harriers. Among falcons, Kestrels, Lesser Kestrels and Hobbys. In the picture below, taken yesterday by Domenico Derrigo, a juvenile Osprey. In the last week thousands of raptors were counted from our watchpoints at the Strait of Messina. Most of them were Honey Buzzards but today the passage of Marsh Harriers has started. Among the other species we observed Black Kites, Booted Eagles, Short-toed Eagles, Ospreys, White Storks, Montagu's Harriers and one Pallid Harrier today.